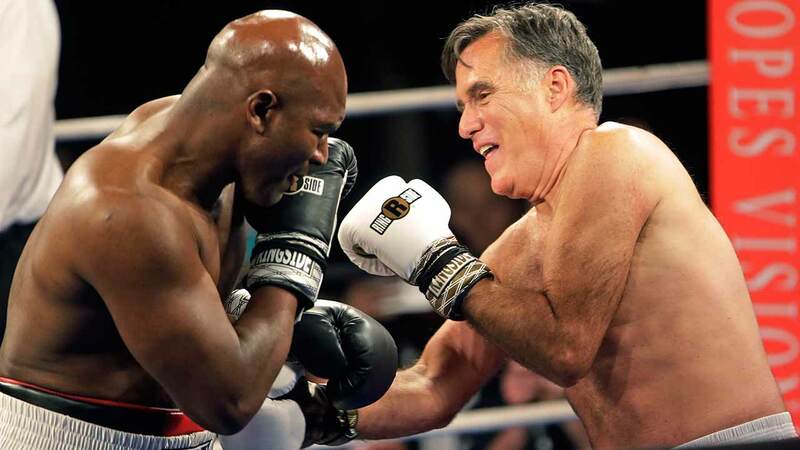 SALT LAKE CITY, UT -- Former Republican presidential candidate Mitt Romney and five-time heavyweight boxing champion Evander Holyfield squared off in the ring at a charity fight night event in Salt Lake City. "Oh, it was great. I was very proud of Mitt," said Katie Anderson, who attended the event with her husband. "I was happy it went to the second round," Devin Anderson said.